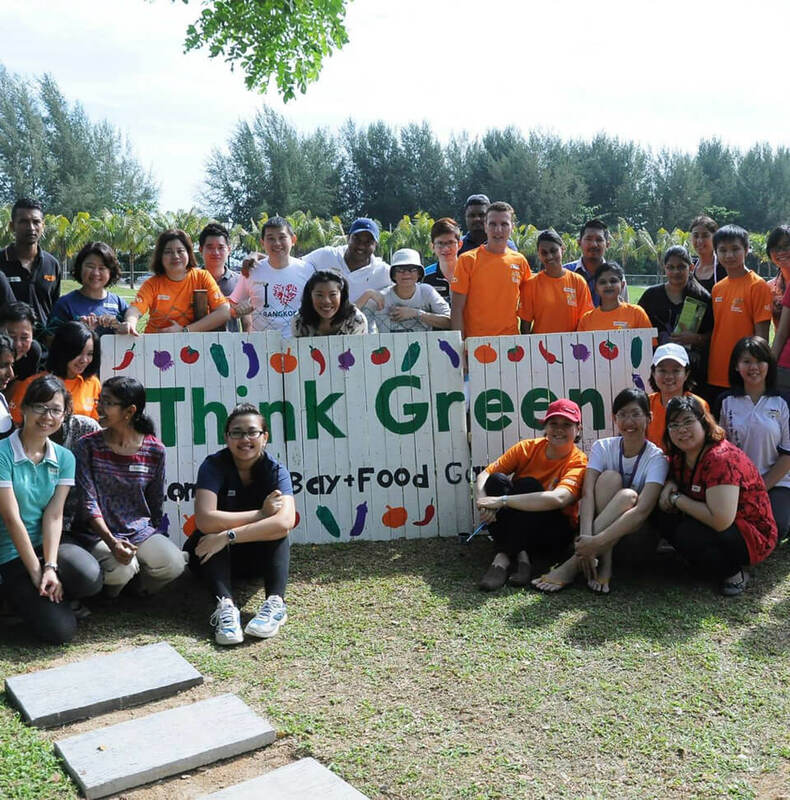 Initiated in June 2013, E&O’s Think Green community education programme aims to build eco-centric communities and strengthen the civic spirit through a community food garden. 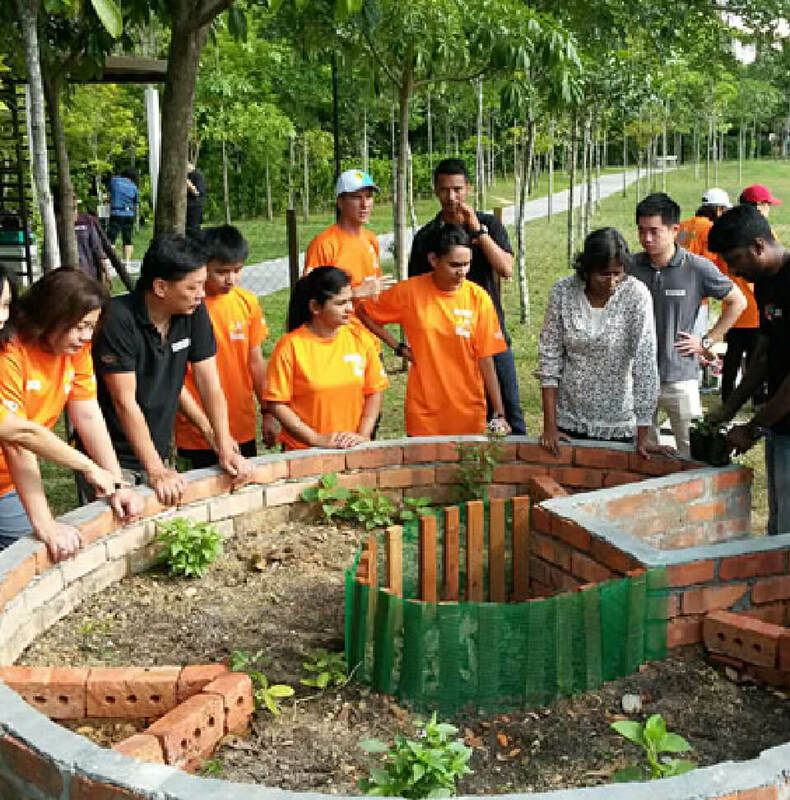 Incorporating a composting site, the Think Green food garden at Straits Green—a 4-acre public park created by E&O at its masterplanned Seri Tanjung Pinang residential enclave in Penang—serves as an outdoor classroom for local communities, partners and employees to come together proactively and embrace volunteerism, earth care practices and community building. The community food garden includes a compost bay, keyhole mulch bed with herbs, raised vegetable beds and informative education boards to teach visitors how to compost and grow healthy food. 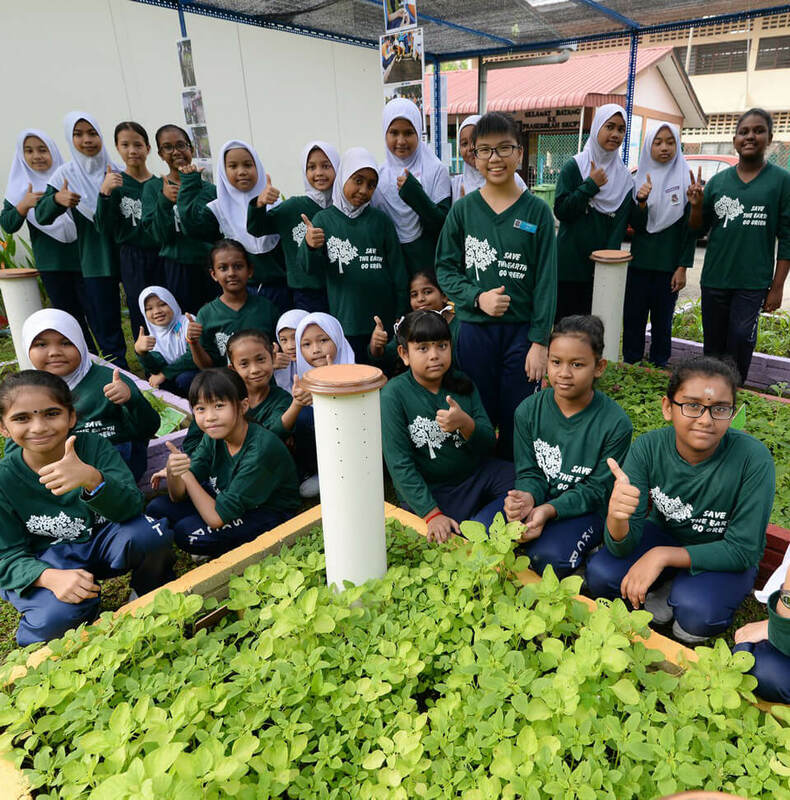 The compost bay also caters to Seri Tanjung Pinang’s landscape waste composting, enabling the return of organic material from common landscaped areas to the soil. 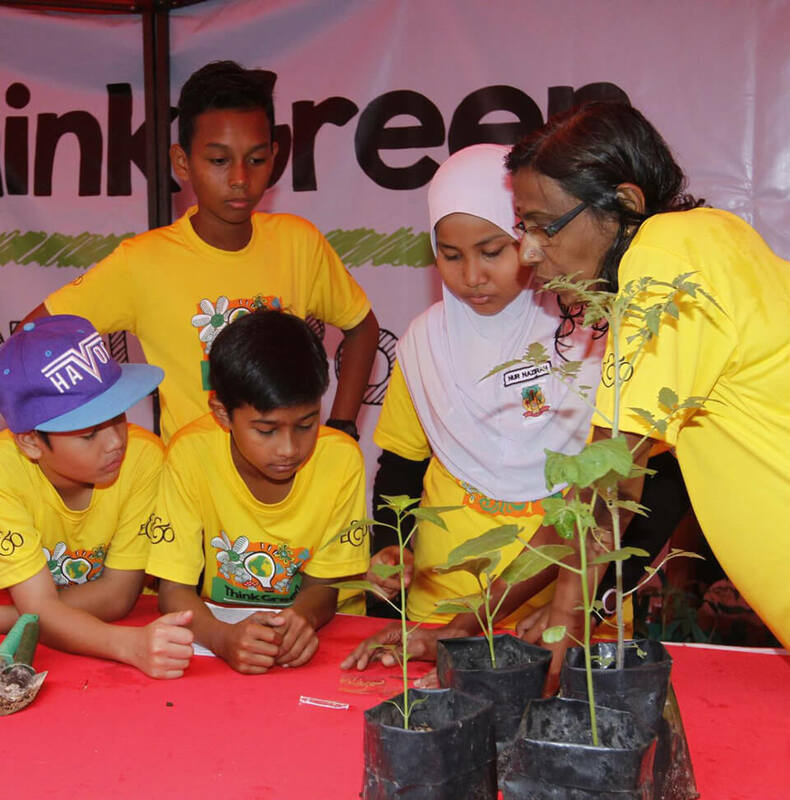 The Think Green site has brought together a range of diverse groups from headmasters, teachers, and students from partnering schools and the local kindergarten, E&O employees, as well as local NGOs and urban food growing enthusiasts. 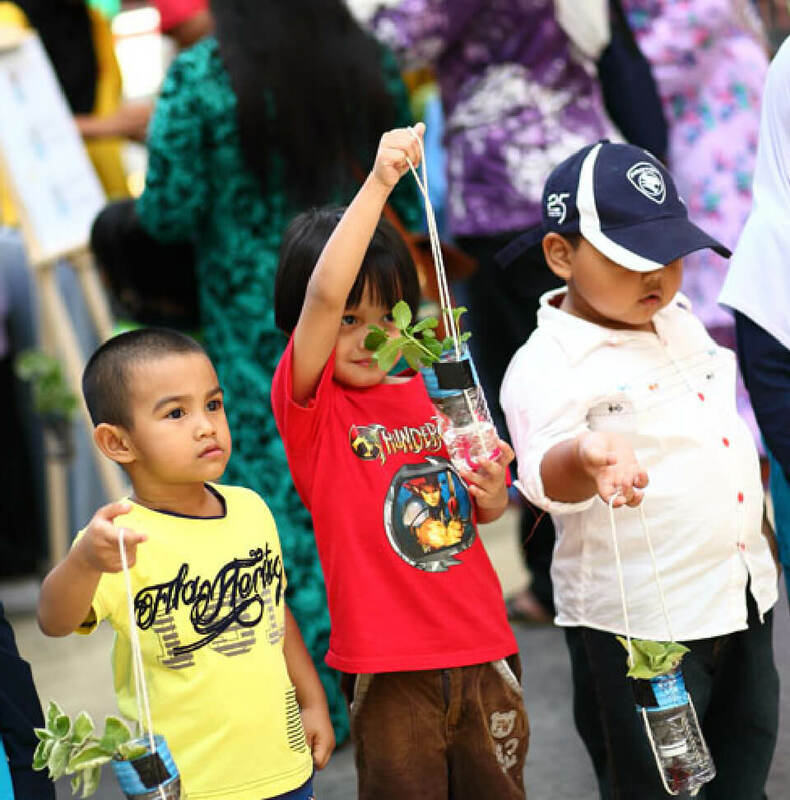 Of notable mention is the Natural Farming Unit from the Consumers Association of Penang (CAP), who play a vital role as our key community engagement partner providing invaluable expertise and enthusiasm in Think Green’s ongoing awareness and education programmes. 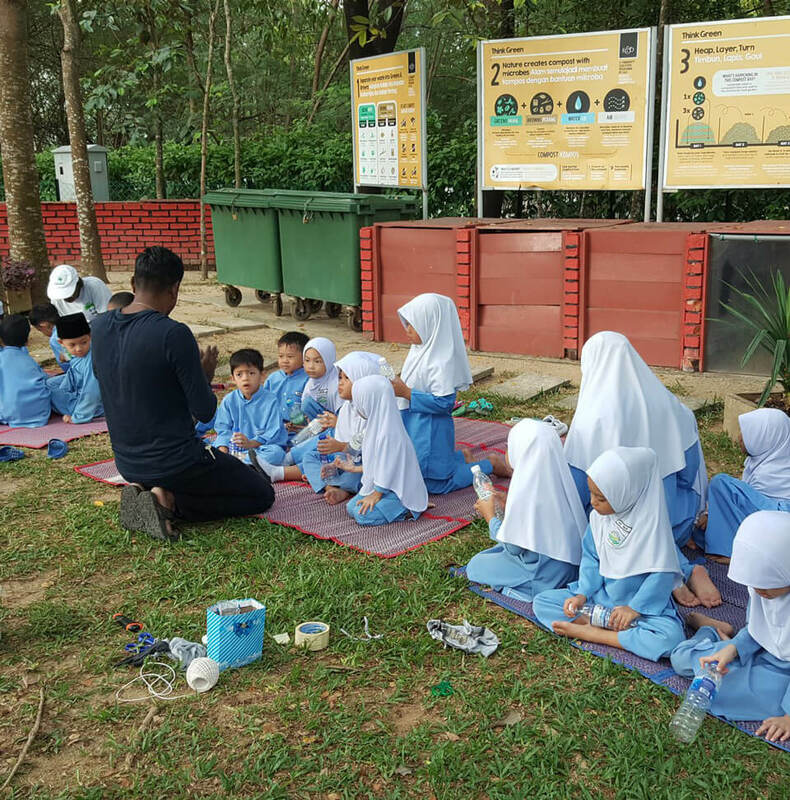 E&O is partnering neighbouring public schools SK Tanjung Tokong, SJKC Hun Bin and SJKT Azad starting with a pilot project in late 2013 involving about 120 students and teachers, which has since evolved into requests for more advanced programmes to follow on from the basic introduction. Landscapers working at Straits Green are also constantly engaged and trained on organic composting and fertilising to ensure natural practices onsite. All landscape waste from Seri Tanjung Pinang is composted at the Think Green composting site and reused for growing herbs and vegetables as well as for the plants at Straits Green, which means close to 3 tonnes of landscape waste is composted instead of heading to the landfills. 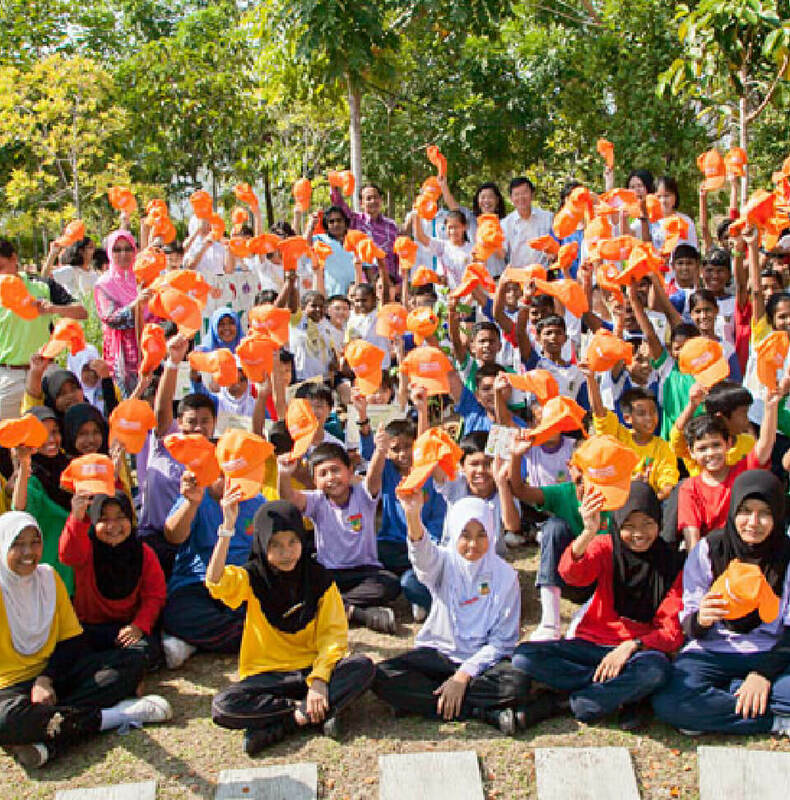 The Green Crusaders, led by two recycling enthusiasts, Don Theseira and Mylene Ooi, are another important collaborator in the Think Green programme who share unique and viable methods of organising community-based recycling initiatives such as simple everyday practices to attain a Zero Waste household. 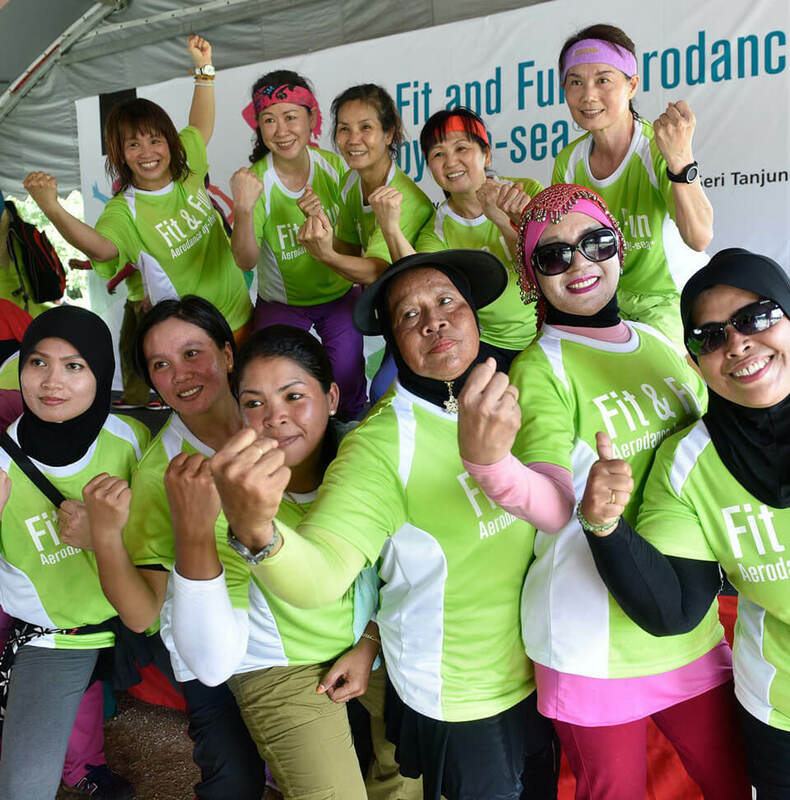 Think Green initiatives will be designed to promote long term, focused and meaningful community engagement. 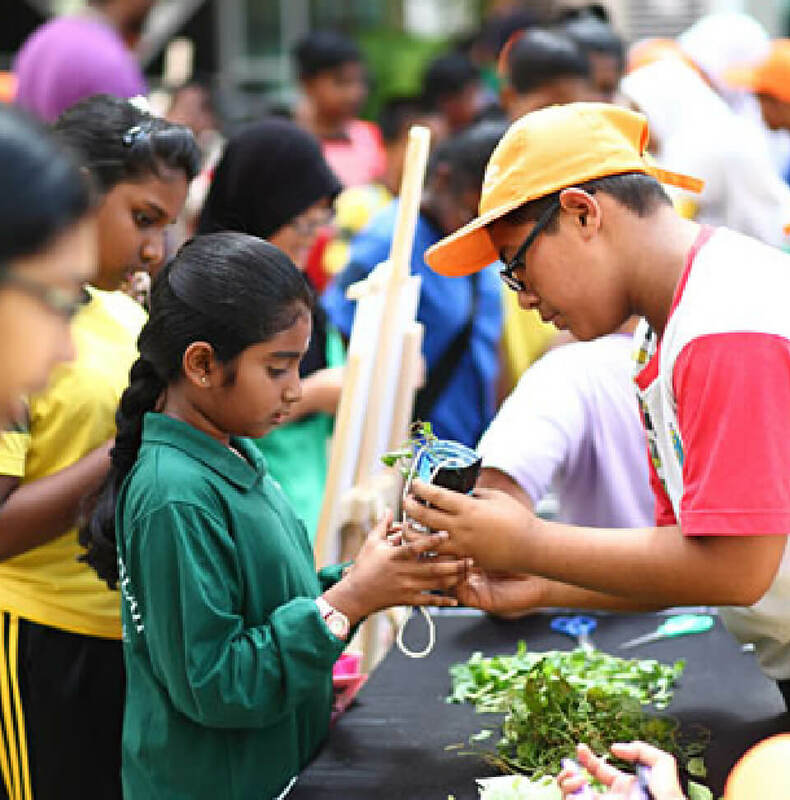 The programme will focus on the young living in the Tanjung Tokong area to help build a vibrant community of students that are eco-conscious, enterprising and creative. Primary school students living and schooling in the vicinity are the direct beneficiaries of our long term programme as we are committed to helping the next generation make a difference at home and within their communities. As this is an employee driven initiative by E&O, please contact: Mr Tharman Anandan at tharman@easternandoriental.com for further enquiries on the Think Green community programme.